Very few artists can balance performing at A-List events, major festivals, ‘it’ nightclubs, hit day clubs, & host a radio show weekly…top it off with his own hit records and enters SAVI, a Chicago native turned Los Angeles based DJ/music producer who is quickly making a name for himself playing some of the top venues & festivals around the world. SAVI started making waves alongside Bebe Rexha & Havana Brown on their top 40 hit ‘Battlecry’ under Universal Music & followed it up in late 2016 with his first hit single ‘Breathe It In’ ft. Bryce Fox which peaked at #7 in the spotify Viral Global Chart. 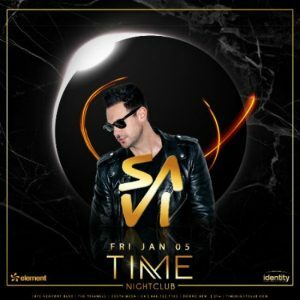 SAVI saw even further success this spring with “Forever or Nothing” (a collaboration with Nervo ft. Lauren Bennett) which spent 18 weeks in full rotation on BPM radio and his remake of “Could You Be Loved” with Bob Marley’s three time grammy winning daughter ‘Cedella Marley’ became one of the biggest songs to hit the islands in decades! SAVI was then asked to do an official remix for the Chainsmokers new single “honest” which is currently being performed by The Chainsmokers in their live shows around the world! His radio show “Up All Night Radio” has already racked up a global outreach to almost 5 million people in only its first 3 months.